With locations on TV Highway in Beaverton and in Southeast Portland (SE Foster and 82nd). Basically, it is my year-round Farmer’s Market with lots of local produce and foods (Bob’s Red Mill grains, Happy Cup Coffee, and then an array of local dairy and eggs, fruit preserves, and raw honey). Not only does this mean I am buying delicious local produce, but I am not having to balance my umbrella in the Portland drizzle while picking out produce. Speaking of which, they sell Honey Crisp apples there for $1.00 – $1.50 per pound, which is just crazy cheap! While the trek out to Milwaukie may seem somewhat daunting (particularly for westsiders during rush hour), I assure you the drive is well worth it! This place is a Mecca of gluten-free (and glutinous) grains, pastas, herbs, and snacks. I suggest arriving there around 9 AM, grabbing something delicious off their brunch menu, and enjoying a delicious omelet and gluten-free toast while plotting out your shopping list. 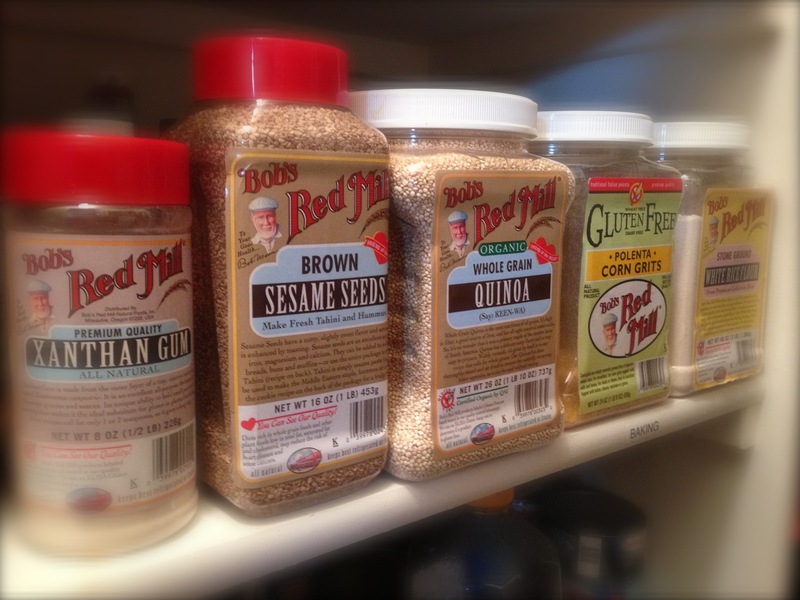 All the grains also come in bulk, so you can scoop your ingredients directly into plastic storage containers, label appropriately, and end up with a pantry that is delightfully, ridiculously labeled and organized. Closed on Sundays. This place is the headquarters of the hearty, grain-filled breads that us GF eaters profoundly miss. But fear not, because Dave’s carries two different brands of GF breads that are absolutely delicious!